At Landmark Medical Center, our mission is to deliver compassionate, quality care to patients and better healthcare to communities. We deliver patient-centered healthcare with compassion, dignity and respect for every patient and their family, and are honored to be trusted partners who serve, give back and grow with our communities. 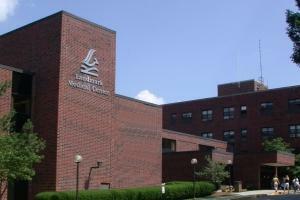 For more information visit: www.landmarkmedical.org. At Landmark Medical Center, our mission is to deliver compassionate, quality care to patients and better healthcare to communities. We deliver patient-centered healthcare with compassion, dignity and respect for every patient and their family, and are honored to be trusted partners who serve, give back and grow with our communities. We are a uniquely physician-founded and physician-led organization that allows doctors and clinicians to direct healthcare at every level.